This set of four Sur La Table Grill Clips is sure to make your grilling easier. 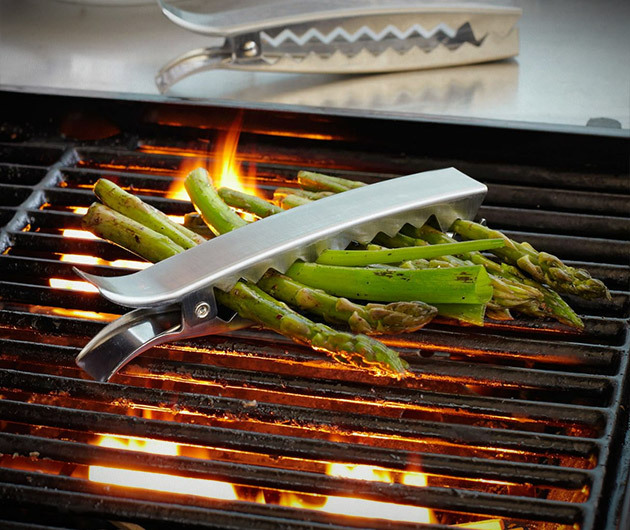 The easy to use clips are great for grilling the perfect asparagus, zucchini, onions, and many other vegetables in no time at all. The Grill Clips grill individual portions that are perfect for one person or for the whole family.